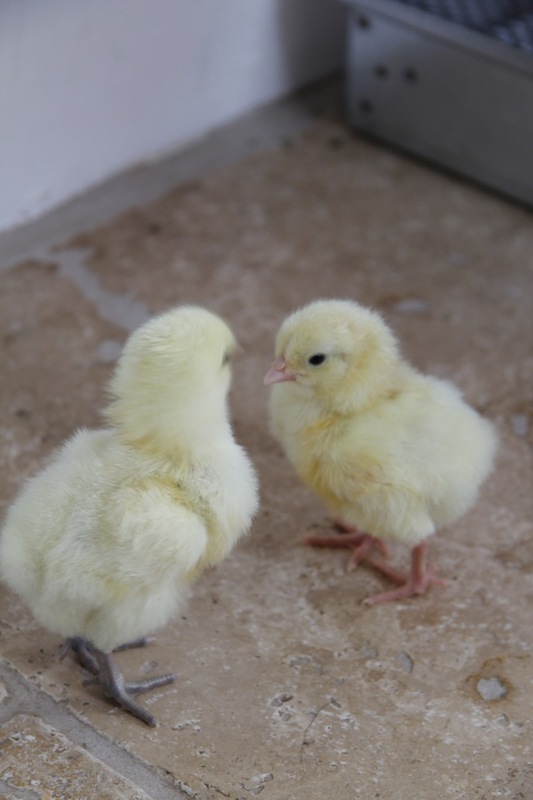 Out of the last batch of Ixworth eggs that I put in the incubator only 2 successfully hatched. One egg was cracked so I didn’t put it in, 6 looked to be infertile or didn’t develop at all. Three developed nearly to full term, but died before hatching and these two little poppets hatched out while I was in London last week. 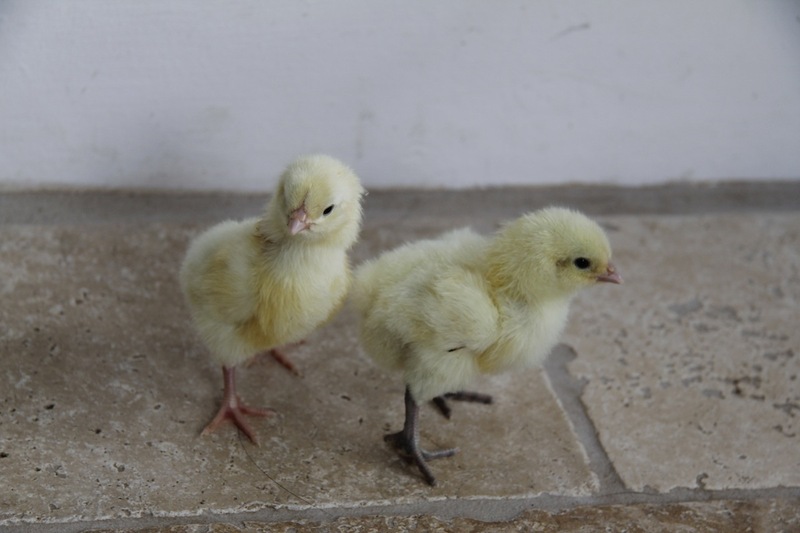 They are doing well and will hopefully form the basis of our new flock of Ixworth chickens. I am not sure why so few hatched, possibly getting sent in the post wasn’t good, maybe because it is late in the season so fertility was reduced. Hopefully there wasn’t a problem with the new incubator. I am getting better at interpreting what I see when candling. I had guessed that five had chicks in and 6 were infertile, but left them all in the incubator as I wasn’t completely sure. As I get better, I will remove the infertile eggs earlier. We won’t hatch any more eggs this year, but will wait until the spring. I might go and collect some eggs in person to hopefully increase our odds. I say a little more here about why I have chosen Ixworth hens. The four chicks that hatched nearly four weeks ago – see here and here – are not chicks any longer, they look like proper mini chickens. I have moved them to the garage into a big old dog crate as they have more space. When it is nice I let them out into the garden in another dog crate. I will start letting them free roam during the day in the next week. 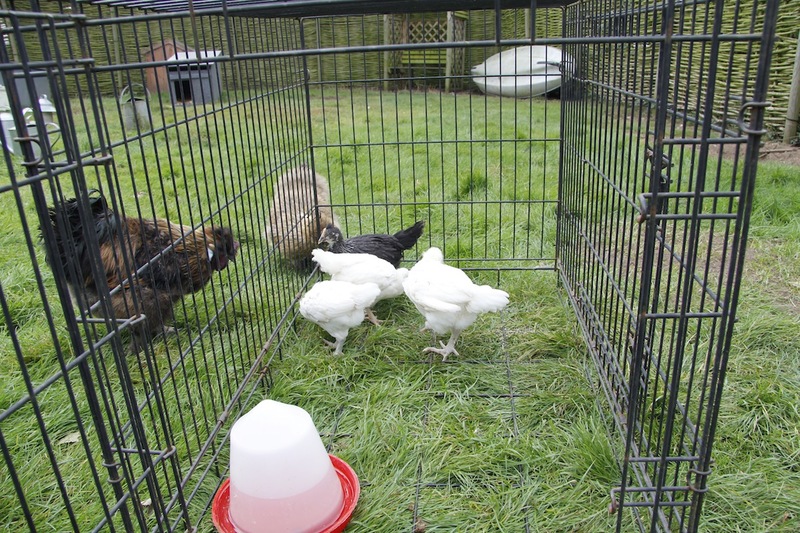 They will still need to be back in the garage at night as it is cold and they need the warmth of the heat lamp. Not sure what type these ones are as we had six Ixworth adn six blue-egg layers. I hope the three white ones are Ixworth. N.B. The turkey is still sitting on her eggs which should hatch any day now. 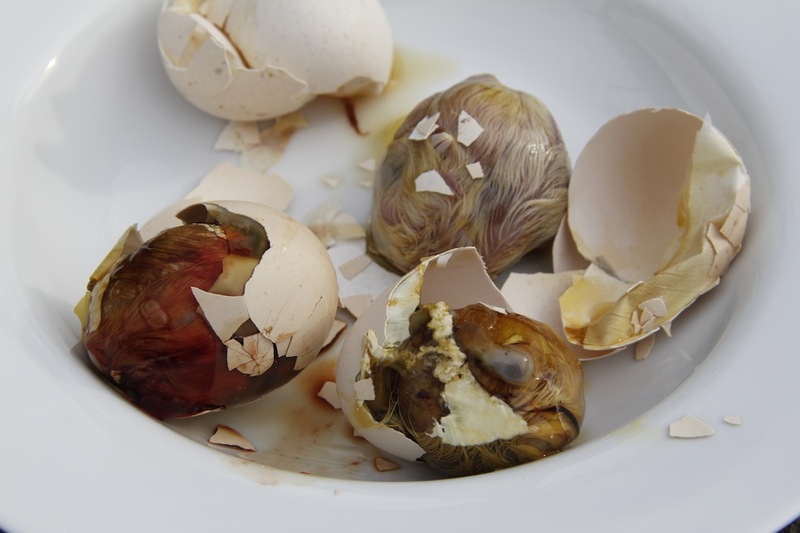 I am not too hopeful as we have had some cold nights and many of the eggs have gone rotten – they have exploded or cracked and she has pushed them out of the nest. N.B. 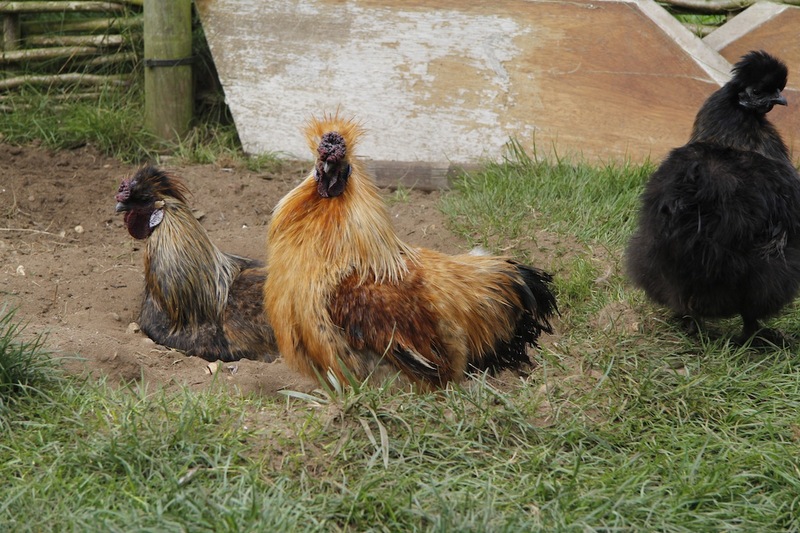 The silkie cockerels in the front garden are now having cockadoodle-doing competitions that start at 3.30am. It is time to have fewer cockerels. We tend to let the cockerels live until they annoy us beyond belief, we have reached that point now. We will keep one of them. 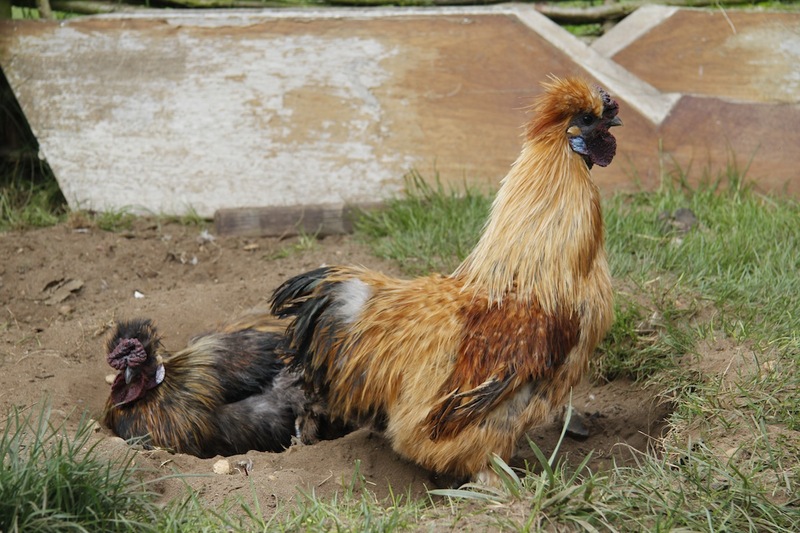 At the moment it is a tie between the daddy and his lovely golden son who has a plumage like burnished copper. The deed will probably get done early on Sunday morning and then we will eat them, make stock and maybe give some to the dogs. It is hard, but I don’t want them to start fighting and they have had a pretty fantastic life. We have also tried to find homes for them …. 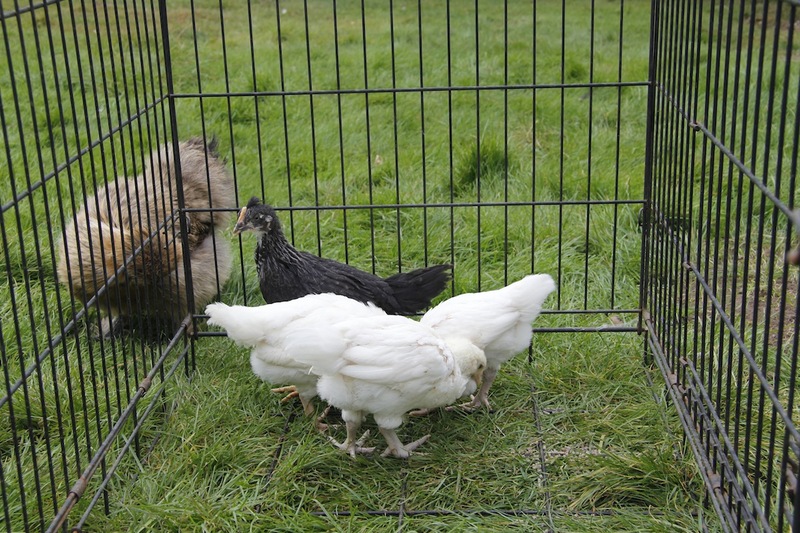 if you want a lovely, good-natured silkie cockerel for free now is the time to get in touch! Always good to get chick news. Totally understanding being ready to terminate rights to the cockerels with 3:30 waking services. Thanks for the updates. Keep ’em coming. Love your posts. The noise is annoying but we could shut the window. Mainly I don’t want them to fight or harass the hens – hence they have to go. to come back to the farm at St. Margaret’s House all the more.